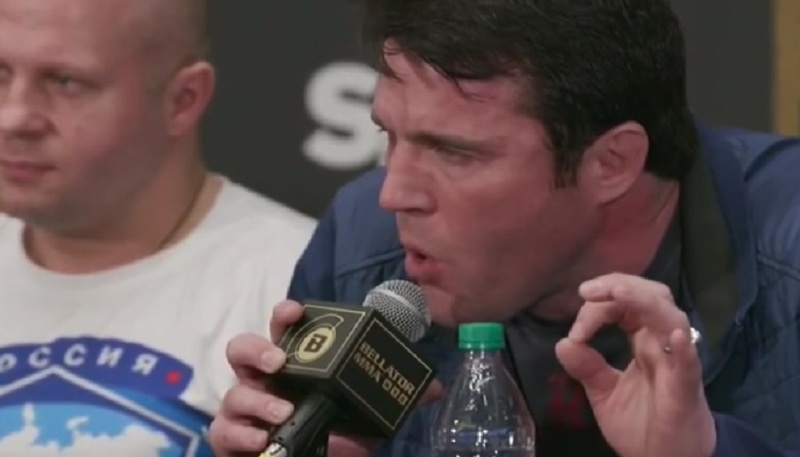 Sonnen & Silva Set to Square Off at Bellator NYC Press Conference - Today 11 a.m.
Sonnen & Silva Set to Square Off at Bellator NYC Press Conference – Today 11 a.m.
Chael Sonnen and Wanderlei Silva set to square off at Bellator NYC Press Conference, two days ahead of their Bellator NYC main event on Saturday. The co-main event features former Pride heavyweight champion Fedor Emelenianko meeting former UFC fighter Matt Mitrione. Also, Douglas Lima defends his welterweight title against organizational newcomer Lorden Larkin. Michael Chandler will be challenged by Brent Primus for his lightweight strap.